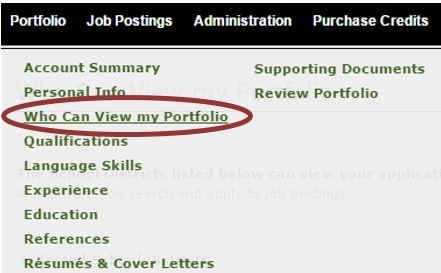 STEP 1: Select Who Can View My Portfolio under the Portfolio section. STEP 2: Next, place a check mark in the box that says Renew next to the board and click the Renew button. STEP 3: You will be redirected to the payment page. Once you make your payment the credit will be renewed for another year.